We're gonna have a little fun this week. You see, next week is my birthday. Christmas time is quickly approaching. Also, I have a lot of cookie recipes that I've made and need to share. 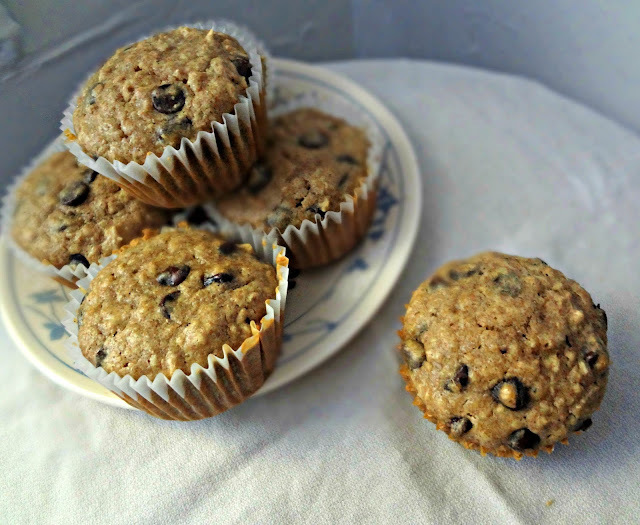 To start us off, a cookie-like breakfast recipe. Technically they're muffins, but trust me...they're almost cookies. Like...eating cookies for breakfast prob. 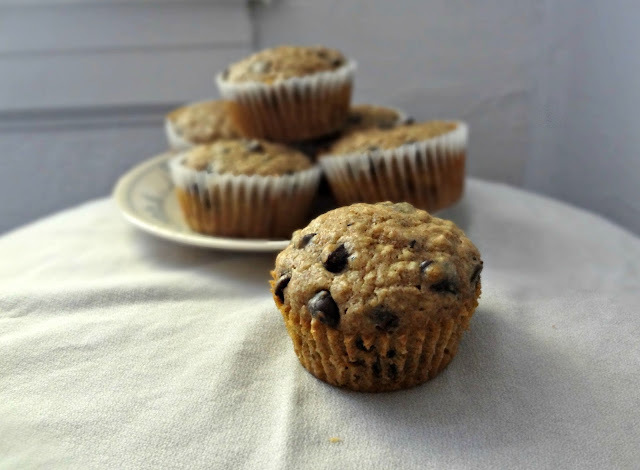 would be just as acceptable as these muffins, but since they're muffins they're breakfast food and you don't feel as guilty for eating them in the morning. Ya know? Soft and fluffy, like a muffin. 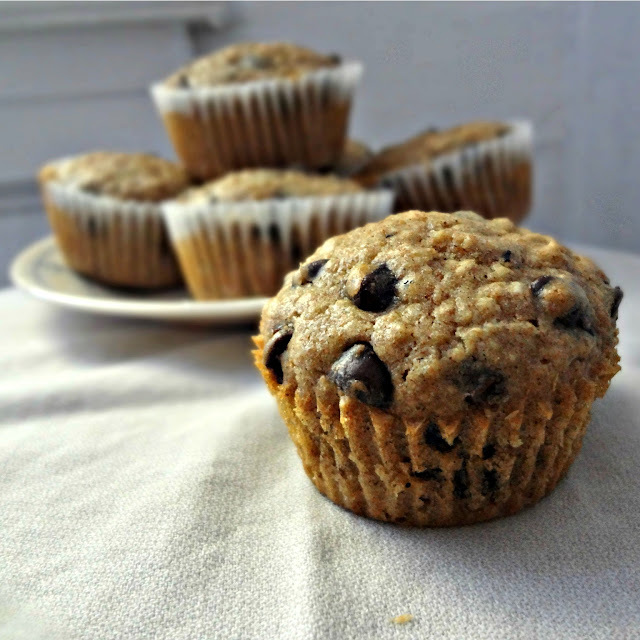 Oatmeal, chocolate chips, and all the brown sugar goodness of a cookie. There's really nothing not to like about these. Optional: coarse/turbinado sugar, to sprinkle. Preheat oven to 350 degrees. Line a 12-cup muffin tin with liners. In a bowl or measuring cup, combine oats and 1/2 cup milk. Let soak 5-10 minutes. In a large bowl whisk egg and brown sugar until smooth and caramel colored. Whisk (or use an electric mixer to beat) vanilla and butter into the egg and sugar until smooth-there may be some small chunks of butter, though. Mix flour, oat mixture, baking soda, salt, and cinnamon into the large bowl. Stir in the rest of the milk until smooth. Pour 1/4 cup batter into each lined muffin cup. Sprinkle tops with coarse sugar. 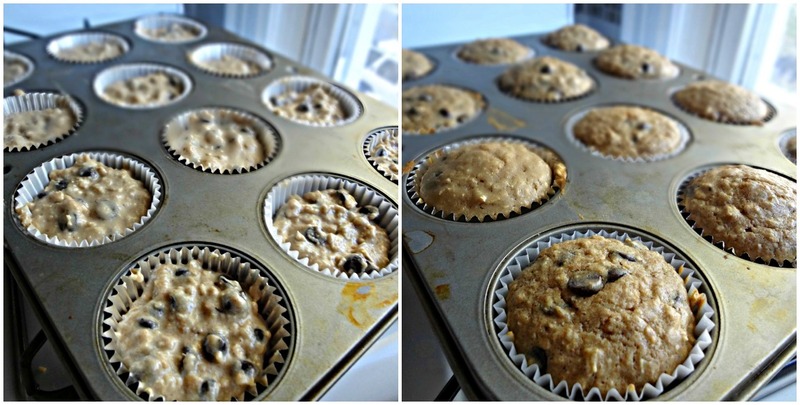 Bake 15-18 minutes, until a toothpick inserted into the center of muffins comes out clean. Ohhh just pretend it is!